Our Trading Academy takes complete newbies or those struggling in FX or binary options and gives them a tailored, structured education course lasting about 10 weeks, turning them into professional traders who have a keen eye for trade setups and proper risk management practices. You decide which route you want to take, FX or Binary Options trading and we take care of the rest. Once you graduate, you are awarded the Certified FX Analyst (CFXA) or Certified Binary Analyst (CBA) certificate and have the option to remain with us, continue trading on your own using Artemis (or a software of your choice) or become a trader on Signal Hive, our signals market place and community where you earn monthly and grow your subscriber base, taking control of your financial future. The Certified FX Analyst (CFXA) and Certified Binary Analyst (CBA) programs are taught in our Trading Academy. They are designed to engage the student both, on a theoretical level with over 8 quizzes and exams covering all necessary topics pertaining to trading and on practical level, with the Live Trading test being one of the most important parts of successful completion of the course. Note: The CBA and CFXA are simply proofs of completion of our academic material and not officially accredited by any 3rd party. Whichever route you take, either the CFXA or CBA, the course begins with a diagnostic test for our senior traders (ST), to see your current level of understanding. The user is then taught basic technical skills which cover Bollinger-band and candle-stick theory. At each stage, the student’s understanding is tested via an online quiz or exam. This allows them to then move on to the advanced stages of the course which include learning our proprietary Core FX and binary options trading strategy, news trading and emotion control techniques. As a final step to receiving your CFXA or CBA certificate, you will be asked to grow a small, but real money account. After an audit, your course is complete and you are ready to take control of your financial future. Our proprietary Core FX and binary options strategy has taken years to research and fine tune and offers the latest, cutting edge techniques to members, in order to allow them to grow their capital over time. To help members further, our financial engineers have engineered the Dashboard, which gives our members trade recommendations, advanced indicators, news and price alerts, based on the Core strategy. Along with this, members receive access to our Live Trading room where senior traders (ST) and other members discuss and confirm trade setups all day. Last but not least, traders also receive access to Artemis; the world's first artificially intelligent trading platform that boosts win-rates and controls risk for you along with Signal Hive, our signals market place! All of these innovative solutions are included in the below monthly packages. Standalone they are worth $250 per month, so you receive a 60% discount when signing up to the Academy instead of individually subscribing to each product. The education occurs via video on demand (VOD) and on a one-on-one basis via Skype or in the Dashboard or Artemis chat rooms. It is scheduled by you, as per your availability. Modules such as candlestick theory, bollinger theory, advanced technical analysis, news trading and Core are taught to you over an 10 weeks period which includes live trading and feedback sessions to ensure you are becoming a smarter and better trader. The VOD education is currently delivered in English, with our multi-lingual traders able to help in Dutch, Greek, Spanish and German as well. An essential tool for all FX and Binary Option traders, the web-based Dashboard has 4 powerful features; advanced indicators that find Core trade setups, high accuracy trade recommendations, tripwire (customized price level alerts) and a major news indicator that alerts you to major news-flow 30 minutes in advance. The Dashboard can significantly increase your ITM % and complements what you are learning in the Academy. As a BSB Academy member, you receive access to our Skype and Dashboard based Live Trading room where senior traders (ST) and members locate, debate and confirm trade setups all day. This is a great place to find profitable trade ideas and use the strength of the community's knowledge, to increase your own win rate. As a BSB Academy member you also receive complimentary access to Signal Hive. The Hive is our signals market place where senior traders (human and robotic) beam high quality signals 24 hours of the day. You can find out more information on www.signalhive.com. As a BSB Academy member you receive access to one of the most innovative tools on the market. Artemis learns how you to trade and helps control risk for you. 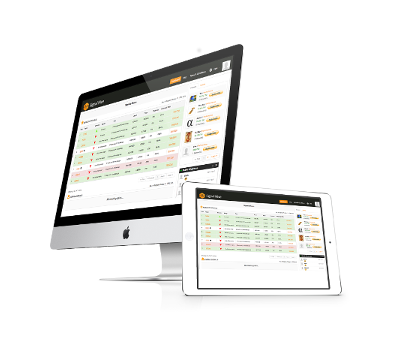 It also provides in-depth analytics and a range of cutting edge tools to boost your win rates. This tool is for students serious about building a long-term career as a trader. Artemis is web-based and a generation-leap forward when compared to conventional trading platforms provided at FX and binary option brokerages. Artemis can be used in conjunction with the Dashboard, however, contains all relevant tools from the Dashboard onboard already. Once you graduate from either the BSB FX or the BSB Binary Options Academy, you are entitled to a 50% discount on your subscription fees and still maintain access to all tools and features mentioned above.